The myriad electronic devices and “things” connected to the Internet create a digital universe comprising data about anything and everything that is happening: in a factory; throughout a restaurant chain, across a smart city; within a research project. Extracting value from the data has the potential to improve business performance, accelerate medical advancement, enhance security and law enforcement, and improve the daily lives and social-media experiences of millions of digital consumers around the world - to name a few. Traditional databases and querying tools are not able to handle the sheer volume of data, the diversity of data types, and the complex ways of combining and manipulating the data to gain desired insights. Accordingly, new types of data sources, log tools (such as Splunk) and visualization tools (like Tableau) are emerging that are better suited to analytic workloads. Big Data analytics tools access and use data in a different way to the transactional processes of historical applications for querying databases. Whereas transactional applications work on small quantities of data in a sequential, indexed fashion, applications such as SAP predictive analytics retrieve data in bulk and can apply a wide variety of analysis techniques. In addition, the rapidly increasing number of devices in users’ hands, and things connected to the IoT are generating data at an exponentially accelerating rate. 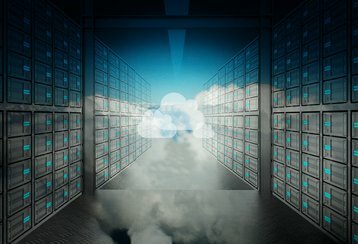 Combined, the exploding volume of data and the complexity of the workloads are outstripping the performance of established data center compute platforms. Customers are demanding the insights generated by analytics applications quickly, sometimes even in real-time for business or financial purposes, and traditional architectures cannot keep pace. Conventional approaches to boosting performance are falling short, as CPU advancement related to Moore’s Law as well as increasing operating frequency (Dennard scaling) have both slowed within the past five years. On the other hand, simply adding extra blades or cabinets is increasingly difficult from the point of view of cost, space, and power. Experts in high-performance computing are driving the development of new platforms that leverage hardware acceleration within heterogeneous architectures comprising flexible combinations of conventional CPUs, Graphics Processing Units (GPU) and Field-Programmable Gate Arrays (FPGA). A new generation of compute accelerators is emerging, which takes advantage of the individual strengths of each type of processor to deliver significant improvements in performance, power, and space efficiency. 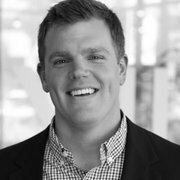 Chris Kachris, CEO of InAccel, explains that he sees heterogeneous computing based on hardware accelerators like FPGAs becoming the main platforms for the efficient execution of data analytics. “Typical processors cannot sustain the increased computation complexity of analytics applications,” he says, “While an FPGA can provide the flexibility of the processors through the utilization of ready-to-use modules and the performance of specialized chips. InAccel creates high-performance accelerators for use as IP in machine learning, financial, or other applications, including accelerators for Apache Spark-based applications, these accelerators can be deployed to FPGA IaaS. The accelerators enhance the performance of mission-critical applications and significantly reduce customers’ ownership costs. Brad Kashani of Bigstream provides more detail on the types of workloads that suit GPUs and FPGAs. “Operations like dense matrix multiply, or where memory needs are very high, might be appropriate for GPUs,” he says. “On the other hand, Sparse matrix operations, SQL operations such as filter, join, or sort, or applications that involved manipulating data formats, are better supported by FPGAs, among others. FPGAs provide the flexibility needed to capture a large number of data analytics operations efficiently. 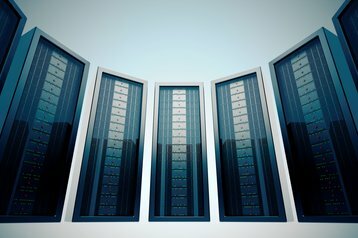 Where large data requirements call for a solution that runs on a cluster of machines, a heterogeneous architecture enables compute-intensive and repetitive tasks to be offloaded from the main CPU. A configurable accelerator, like an FPGA, can be optimized accordingly. CEO and co-founder of Vitesse Data, CK Tan, explains how his company has put this approach into action to further accelerate the performance of its Deepgreen DB, a variant of Greenplum that runs many times faster than the open-source offering. Looking ahead, machine learning will become ever more critical to the future of effective data analytics, as the pace of data generation continues to increase and real-time algorithmic capability, storage, network bandwidth, compute performance, and human analyst capabilities are unable to keep pace. Enterprise and scientific users are becoming increasingly aware of the value contained within the vast quantities of data now collected from the physical and virtual worlds. Demand for data analytics is typically proportional to the amount of data being generated. As the quantity of data continues to expand exponentially, the need for data analytics will grow at a similar rate. Contemporary hardware and software architectures cannot be leveraged cost-effectively to meet the data generation, storage, and analytics needs. Hence, there is an urgent need for new and novel approaches based on heterogeneous compute platforms that appropriately couple CPU and FPGA resources. FPGAs, with their configurability, flexibility, scope for parallelism, and power efficiency, ensure effective and efficient acceleration of data-processing workloads.